With the 2018 season in the books, a feeling of newness is in the air and we're embracing what appears to be a changing of the guard to incite our inaugural girls' lacrosse Way-Too-Early Top-10 rankings. After Eden Prairie and Blake combined to win the first 11 state championships, Apple Valley slayed these two lacrosse giants as the Eagles won their first-ever state championship in a thrilling 11-10 victory over Eden Prairie. Despite Apple Valley's historic win, the Eagles will have a big hill to climb next season if they're to repeat with the graduation of star players Reagan Roelofs and Molly Moynihan. While there is quite a bit of time before teams hit the field for the 2019 season, we are eager to start looking ahead. We've put together this list based on the non-seniors slated to return to each school. Feel free to comment below and get a conversation going about what's in store for 2019. After handing Eden Prairie its first loss to a Minnesota team since 2014 with a 6-5 win on May 19, it appeared Prior Lake was destined to make a deep run in the postseason. But the Lakers, ranked No. 1 in the final regular season coaches' poll, were knocked off 13-12 in the Section 6 final against eventual state champion Apple Valley on June 7. Heading into 2019, however, Prior Lake seems poised to get past Apple Valley and advance to the state tourney. The Lakers will be down their top scorer from the 2018 regular season as forward Lexi Peer graduated after a 29-goal regular season, but the team's remaining top-five scorers from the regular season are slated to return. 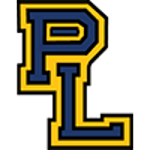 Prior Lake's 2019 offense will likely run through midfielder Jordan Anderson, who finished her junior season with 28 regular-season goals. Anderson should be joined by forward Payton Bloedow and midfielders Lauren Wick and Josie Kropp. This group should come back motivated to avenge its heartbreaking end to the 2018 season. Another team with revenge on its mind will be Eden Prairie. The Eagles' run of three consecutive state championships ended in this year's state championship game with an 11-10 loss to Apple Valley. And with this year's team having just three seniors, it doesn't look like Eden Prairie will take much of a step back. In 2019, the Eagles experience will be up front. Eden Prairie did not graduate a single midfielder or forward from the 2018 team. This includes forward Brooke Lewis, who had a team-best 66 goals in the regular season as a junior. She should be joined by three midfielders — Kacie Riggs, Maggie Brown and CJ Froemming — who tallied at least 28 goals in the regular season. All of Eden Prairie's graduating seniors come from the defensive side of the field, which means the Eagles will have to get some help from newcomers. This includes replacing Ellie Henry, a Star Tribune All-Metro first team selection. After a third-place in 2018, Blake will have some big holes to fill heading into 2019. But based on the Bears' consistent success year after year, it's hard to doubt that Blake will reload for next season. The Bears top four scorers — Sophie Skallerud, Shannon Ellis, Sara McClanahan and Emma Burke — all graduated in 2018 after careers that included two third-place finishes and a pair of runner-up finishes. Fortunately for Blake, its projected returning talent is strong and young. The Bears will return midfielders Eliot Mitchell and Jackie Weyerhaeuser. Both will be key pieces in their sophomore seasons after the duo combined for 31 goals during the 2018 regular season. A year ago it would've been hard to make any argument for Minnehaha Academy to be included in this top 10 had it existed, but after a strong 2018, the Redhawks have emerged from the shadows and appear to be one of the teams on the rise in Minnesota. 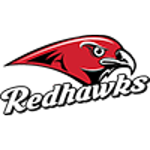 Minnehaha Academy's upfront trio of Jay Rosga, Chloe Heiting and Grace Heiting combined for more than 300 points during the regular season and led the Redhawks to a 12-11 loss to Blake in the state quarterfinals. While the Heiting sisters have graduated, Rosga aims to return for her freshman season as one of the state's most dynamic scorers. She and the rest of Minnehaha Academy appear to be a force to be reckoned with for years to come. It was a difficult decision putting the defending state champions down at No. 5. But with the shear amount of offensive production graduating, Apple Valley has its work cut out for itself in 2019. The Eagles' top four scorers combined for 160 goals in the regular season but were all seniors. This includes Star Tribune Metro Player of the Year Reagan Roelofs, who capped off her career with a team-best 46 goals and 36 assists in the regular season. Roelofs will be sorely missed as she heads to the Naval Academy in Annapolis. One of the Apple Valley players who will be tasked with picking up the slack is midfielder Taiva Reinertson. She scored 23 goals as a freshman in the regular season and will be key if the Eagles want to fend off the likes of Prior Lake in the South Suburban Conference and Section 6. In 2018 Lakeville North returned to the state tournament for the first time since 2013. With just three players graduating from this season's team, it's entirely possible the Panthers could improve on their fourth-place finish in 2018. The Panthers' biggest loss is forward Abby Schaefer who graduated after tallying 10 points in three state tournament games for Lakeville North. However, Olivia Mattis and Chloe Fisher each scored seven goals in three state tournament games and should return with some state tournament experience for their junior seasons. The biggest key to the Panthers' success will be keeping up with the teams at the top of the rankings this season. In four games against Eden Prairie, Prior Lake, Blake and Apple Valley, Lakeville North was outscored 67-25. Maple Grove is coming off its third consecutive state tournament appearance. Though the Crimson lost both of their state tourney games this season (18-4 to Apple Valley on June 12 and 15-10 in their consolation game to Minnehaha Academy on June 14), they should return all but two players from their 2018 team. The biggest returner for Maple Grove will be Emily Herdine. In the Section 8 final against Buffalo, Herdine nearly single-handedly got the Crimson to the state tournament with a six-goal performance, setting up the 9-6 win over the Bison. She followed that with a pair of goals in each of Maple Grove's two state tournament games. Much like Lakeville North, Maple Grove's success will be dependent on if it can take down ranked schools in 2019. In 2018, Buffalo took a major step forward as the Bison advanced to their first-ever Section 8 final. 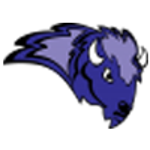 Despite coming up short in a 9-6 loss to Maple Grove, Buffalo is expected to return a strong core that's capable of knocking off the Crimson in 2019. Buffalo's top three goal-scorers from the regular season are expected to return for a 2019 campaign. This includes midfielder Emma Carlson. She had a strong junior season leading the Bison with 66 goals, including a nine-goal performance in a Section 8 semifinal against Monticello. Year after year, the biggest hindrance to Chanhassen is playing in Section 2 with Minnetonka and the perennial power that is Eden Prairie. But with just three Storm seniors graduating from the 2018 team, 2019 looks like a year Chanhassen can compete with some of the state's best. 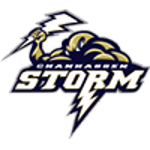 However, to spark that surge, the Storm will need to replace the scoring prowess of Rowan Hodgins and Emma Silbernagel who led Chanhassen in goals with 39 and 25, respectively, during the regular season. One player expected to be tasked to fill the void will be midfielder Elle Wagner, a sophomore who had 22 goals and 23 assists during the regular season. The Storm also return defender Shea Kerry, who made the Star Tribune All-Metro second team. 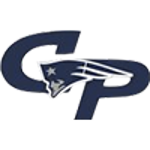 Champlin Park has continued to struggle to get past Blaine in Section 7 the last three seasons, but with the Bengals losing some key pieces, 2019 could be the year the Rebels break through. Champlin Park was defeated by the Bengals 15-6 in this year's section title game but got some significant contributions from younger players, including forward Camryn Mayer. As a freshman, Mayer had a team-best three goals in the loss to Blaine and we expect to hear more from her during her sophomore season.